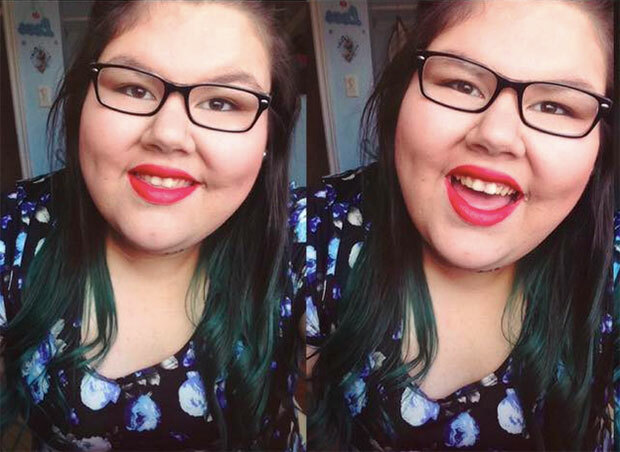 This teen has the *perfect* response for anyone who says "you gained weight"
Hannah Battiste, an 18-year-old poet and mental health volunteer from Eskasoni First Nation in Canada, shared a hilariously brilliant picture of herself featuring a hidden message she has for her haters. . . on her chin. All the props to Hannah for delivering truth, inspiration, body positivity, and humor, all in one fabulous package. You are the ultimate queen of the day!